Gold is coveted by investors for its rarity. As a precious metal with limited supply, it is seen as a store of value when the real value of other assets, and currencies, can be manipulated. But fundamentally, its high worth is underpinned by its usefulness and attractiveness. Not only is it highly malleable but it also conducts electricity, given rise to many industrial uses. Its visual appeal, worn as jewellery for millennia, is more obvious. Gold was used as a form of currency as earlier as 550 BC when King Croesus minted coins in what is now Turkey. But the adoption of the gold standard in the late 1800s, cemented its value in modern day finance. This was when most major nations fixed the value of their currency to the gold price. In recognition of gold’s importance to the global financial system, the Federal Reserve was created in 1913 to help to stabilise the gold price and currency values. Amid the turmoil of the 1930s Great Depression, some countries abandoned the gold standard – in 1931 in the UK and 1933 in the US. The gold market even closed during the Second World War. Afterwards, the gold standard was readopted at the famous Bretton Woods agreement, reached to help with economic stability as the post-war rebuilding process began. The gold price remained pegged below $200 an ounce for much of the last century. The gold standard was abandoned entirely in 1971, allowing currencies to move freely against each other. Inflation and geo-political concerns in the 1980s saw gold spike above $400 for the first time. But the rally was short lived. Prices were left languishing for nearly two decades. It was only in the new millennium that demand steadily returned, partly because some central banks slowed their selling of gold reserves. But the biggest gains came amid the financial crisis of 2008 and the years that followed. This was mainly in response to the substantial programmes of quantitative easing undertaken by central banks. The theory was that this would create inflation, and gold is considered a store of value at such times, rising with, or ahead of, wider price increases. Gold is scarce, durable, versatile and tangible. As such, it maintains its value and is considered a safe haven investment. Gold is seen as a store of value during times of persistent deflation or extreme inflation. To some, it is considered to be a highly-valued global currency, a reputation earned in the gold standard period. The price of gold often behaves differently to stock and bond markets. It is possible that when a portfolio is suffering because of shocks for shares or bonds, that the gold price can rise, or vice versa. control inflation. Gold is perceived as offering protection from inflation so central bank success in controlling it might hold back the price. Gold is valued predominantly in dollars. If the dollar is strong it costs more for international investors to buy therefore demand might fall. Oversupply can dilute the price of gold, just like any other commodity. During periods when interest rates are low investors will look for alternative higher yielding investments such as shares. Gold provides no income and may fall out of favour. This factor may have contributed to falls in the price in recent years. How do I know if gold is cheap or expensive? Gold is notoriously difficult to value. It provides no yield, coupon, rent or profits therefore it is a difficult asset for investors to value compared with shares or bonds, for example. Investors are left trying to judge a number of factors, explained above, that feed into demand for gold. It is understandable that the price has seen periods of extreme price volatility. Without the usual valuation metrics that might be applied to traditional investments, working out when might be a good time to buy can be difficult. This has increased focus on alternative measures. 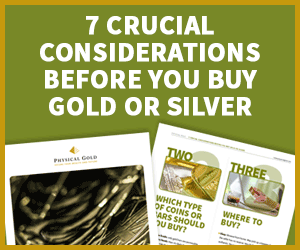 The gold-silver ratio is one such measure, simply comparing the price in ounces for each precious metal. In 2000, the ratio was 50 to 1, with gold 50 times more expensive than silver. A higher number suggests gold is more expensive compared to the silver price, a lower number suggests it is less expensive. At the time of writing the gold/silver ratio is just above 70. The ratio is a niche tool used by traders as one way to work out when to move in and out of gold. How much gold should I have in a portfolio? Like any investment portfolio, if you have just one investment in it then you leave yourself exposed to heavy losses should the investment fail. A balanced portfolio will hold shares, bonds and perhaps commercial property, depending on the aims, risk appetite and timelines of the investor. The World Gold Council claims modest allocations to gold of 2% to 10% could protect and enhance the performance of an investment portfolio. What is the outlook for gold? Having risen sharply since the turn of the millennium and peaking after the global financial crisis in 2011, gold has retreated. Given the gains that had come before, some market watchers were not surprised by the slide in the price. If the next chapter in the story of the global economy involves extreme inflation or deflation, then gold may perform well. Or indeed, if there are severe market shocks. Other less dramatic scenarios may be less positive for gold. The table below offers explanation on how the gold price has moved during different global periods, although these patterns are not guaranteed to be repeated. As canny investors know, past performance is not a guide to the future. “Ultimately, the price of gold is driven by the mood and mindset of investors,” said Matthew Michael, Product Director in Commodities and Emerging Market Debt. “Is the global environment now bearish for gold? We don’t think so, not even in the US. Prospects of a hike in interest rates have been rising faster than inflation expectations, which is bad for gold in the short term but we doubt this will continue for long. “With energy prices rising, the US labour market tightening and building expectations of hawkish US trade policy, inflation expectations could build rapidly, supporting gold. “The potentially positive economic elements of a Trump presidency have been priced in by markets. The potentially negative elements, including higher inflation, higher geo-political risks and increased protectionism have been largely ignored. “And as we’ve said many times before, gold remains an under-owned hedge against global central bank credibility and under-appreciated global risks. This entry was posted in Industry News and tagged Gold Investment, Gold Price.